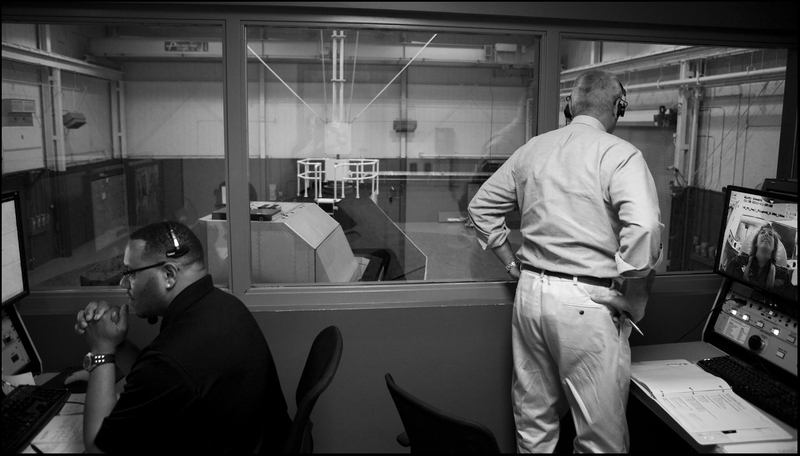 CONTROL ROOM Controllers monitor safety and coach trainees during centrifuge exercises. Specifically looking for symptoms of G-LOC. The most common symptom is peripheral vision loss.